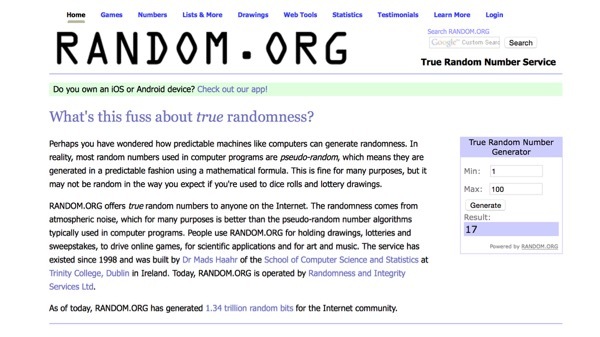 I used a random number generator to pick the 1 winner of the guava jam or goiabada from the contest a few days ago. The number generator picked # 17, or “Sonia” our lucky winner for the day. Sonia, please email me to confirm your email address and we can figure out a way to get you the bottle of jam. To be totally, totally honest, I ran the random number generator and got #21, or “Footloose”. Most folks wouldn’t believe the results if I posted that, since Footloose is such a prolific and steady guest on the site, but I was planning to send BettyQ and Footloose a bottle of jam or jelly anyway (since BettyQ said she could arrange to get the bottle to her in Vancouver), and I am hoping to piggyback one bottle which might kindly mail to Footloose somewhere in North America as well. BettyQ and Footloose win the current invented award of “loyal longtime readers and commenters” so they get guava jelly as well. # 17 : Sonia, you get a bottle of goiabada!! Nacho, Betchay and Greens Blossoms : A bottle of guava jelly as well. I wanted to try making the guava spread after seeing some guavas in the Alabang wet market. I didn’t buy any because my mom said it stinks. O_o she rarely refuses me to do most kitchen experiments (guanciale, salami and bottarga on top of my crazy and successful list), but she did this one. Clarissa, some people have a real aversion to the smell of guava cooking… Mrs. MM is one of those, and simply tolerates the 3-4 hours that the house is completely engulfed in the distinct fragrance. But the resulting jam/jelly is so worth it, unless you live in a flat or home where it isn’t easy to air out the place after cooking… :) I am curious, what fish eggs did you use for your local bottarga experiments and did they turn out well? Maybe I will sneak in the cooking of guava sometime. But it might be too pungent too hide. Something very local, tuna fish eggs that comes in pairs, fresh frozen from GenSan or Davao that come to about half a kilo per pair. I did two versions, one salted and dried under the sun, and one salted and dried inside the house in shade. They both turned out really well. The one salted but no sun came out creamier. They remind me of anchovies or local dried fish, which I really love. I use them mostly in pastas. Happy for all the winners! Congrats to the winner(s)! I hope next time, I get to be the lucky one. I want the mangosteen jam, universe! Congrats to the winner, and more power to you and this blog MM. hi MM, since i wasn’t able to join the raffle, i tried cooking the guava jam following your instructions. and i was so happy of the good result. i also made the mangosteen jam and likewise, it turned out good. i gave a small bottle to my sister and she said it’s “masarap.” thanks again MM. Sir MM, I wonder if you still have Molave? or do sell them? I’ve been wanting to have one since you posted it here po. Thanks.